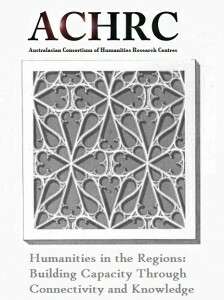 The Australasian Consortium of Humanities Research Centres (ACHRC) is the peak representative body for Humanities research centres and institutes in Australia and New Zealand. 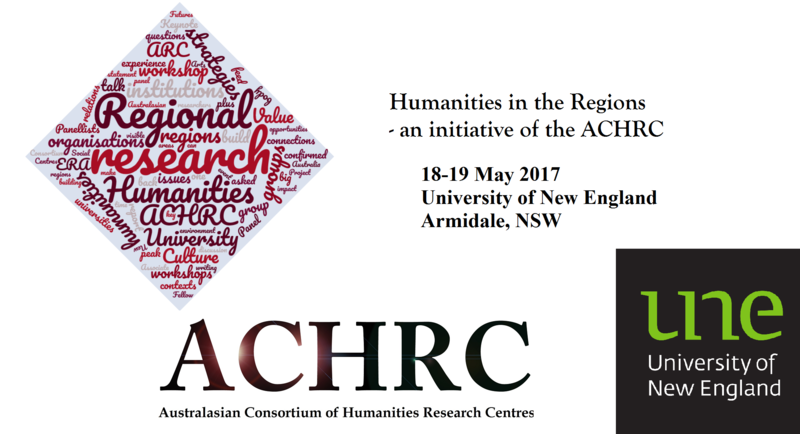 In 2015, the ACHRC established a group dedicated to promoting Humanities-based research in regional areas of Australia, and to cascading peak body, state-of-play knowledge throughout regional institutions. The aim is to build research capacity, connectivity and institutional knowledge for Humanities research. One of our most successful member initiatives is “Humanities in the Region,” which acknowledges that research in the humanities is different in regional universities than it is in Group of 8 universities. If you would like to be involved with organising or delivering a session, please email the local conveners: Assoc. Prof. Nancy Cushing or Dr Julie McIntyre. The 2018 two-day collaboratory explores the nexus of humanities research partnerships between academics, cultural institutions, and industry. How do researchers in the Humanities build meaningful connections beyond their regional setting? How do we build partnerships to demonstrate and accentuate our impact within our regions? How do we develop strategies to maximise and communicate the benefits of our unique research environments when applying for grants? How do we build better ways of engaging and respecting Indigenous communities in research? Over two days, participants will hear keynote addresses from leading researchers followed by panel discussions from a range of stakeholders, before engaging in workshops on the same topic with peers. The workshops will give opportunities to discuss ideas with experts and to reflect on how best practice can be applied at home institutions. The event will stimulate debate on future trajectories for research, will build cross-institutional connections and research synergies, and will enable strategies for funding success. 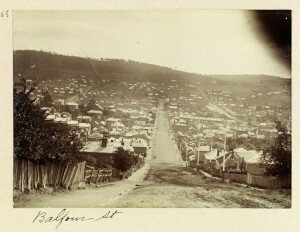 We hope to see you in Launceston in May! Over two days, participants will hear keynote addresses from leading researchers and be invited to participate in panel discussions, as well as engage in workshops on key topics with peers. The workshops will give opportunities to discuss ideas with expert mentors and to reflect on how best practice can be applied at home institutions. 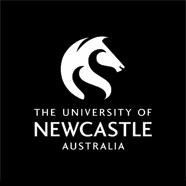 Co-hosted by The School of Humanities, University of New England, and the ACHRC, the event will stimulate debate on future trajectories for research, will build cross-institutional connections and research synergies, and will enable strategies for funding success. The event is free but registration is essential. Register here. 9.00-9.30 Welcome to Country – Elders of the Kamillaroi & Anaiwan peoples. • Dr Jane Mummery (Federation University) & A/Prof. Lisa Chandler (University of the Sunshine Coast), Co-chairs of the Humanities in the Regions. Small groups report back to the large group. 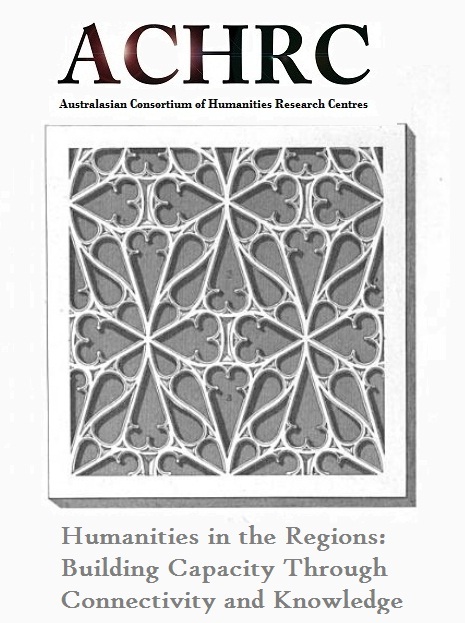 12.45-2.00 SESSION 3: Research and Engagement Strategies for Regionally-Based Humanities Research Centres. ‘Humanities in the Regions’… 2018 and beyond…. The event was presented with the support of Council for Humanities Arts Social Sciences, Regional Universities Network, Federation University Australia, and the University of Wollongong. Dr Lisa Chandler, University of Southern Queensland.